Samsung has released their new flagship mobile SoC. The Exynos 8890 uses Samsung made custom cores. Some time ago we had some leaked benchmarks promising a super fast Samsung chip and now Samsung made it official. 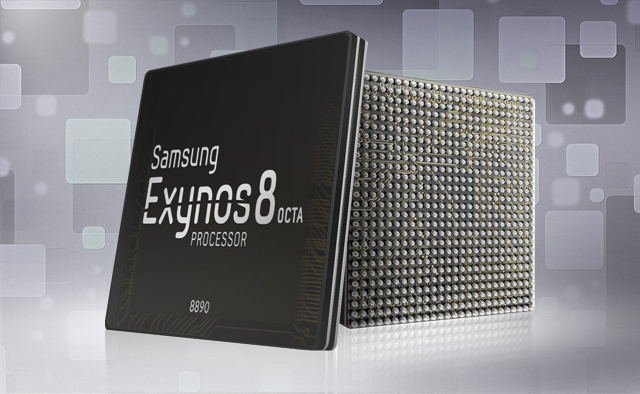 The Exynos 8890 has a 64-bit octa-core CPU with four custom built Mongoose cores and four Cortex A53 cores. The CPU uses Samsung’s 14nm FinFET manufacturing process. The GPU is a 12 core Mali-T880 MP12. It supports screen resolutions even beyond the normal 4K. The LTE modem supports LTE Cat 12 and 13 for 600Mbps download and 150Mbps upload speeds. Overall the 8890 is probably the fastest mobile chip out there. Samsung is most likely going to use it in the Galaxy S7 devices but they have been testing the Snapdragon 820 as well. That means we might get two variants of the S7 next year.